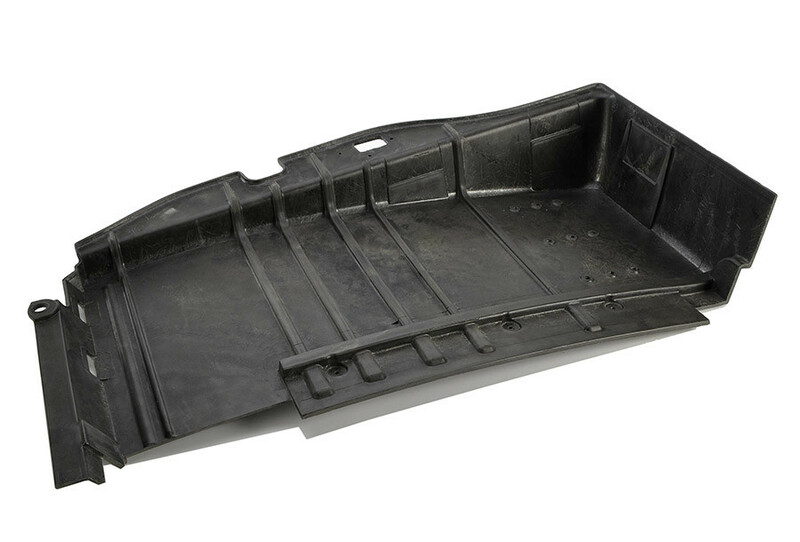 Polyurethane parts made by the Reaction Injection moulded RIM process are generally suitable for non-structural or semi-structural purposes where the resultant product is intermittently or lightly loaded, or forms an enclosure of some kind. 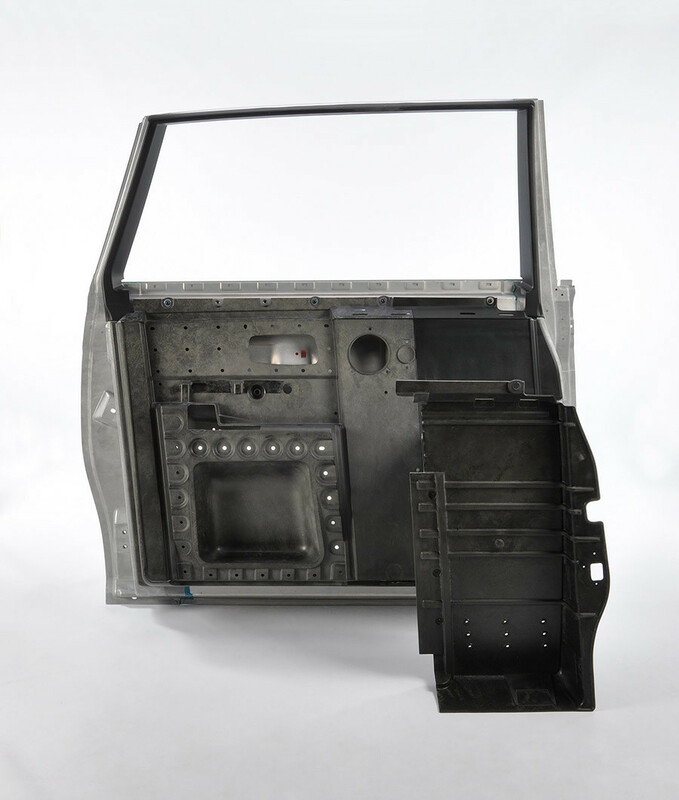 These might typically be the enclosure of an internal chassis, a support structure in compression, a semi-structural container or a decorative cover or cladding. However, sometimes the requirement for the RIM PU component to form part of a stronger structure, is obligatory and in these cases we can offer a number of options for reinforcing the material during the moulding process. Sometimes referred to as S RIM, re-enforced PU RIM employs fillers and chopped strand materials to strengthen or stiffen parts in order that they can carry more significant loads with minimal distortion or creep. 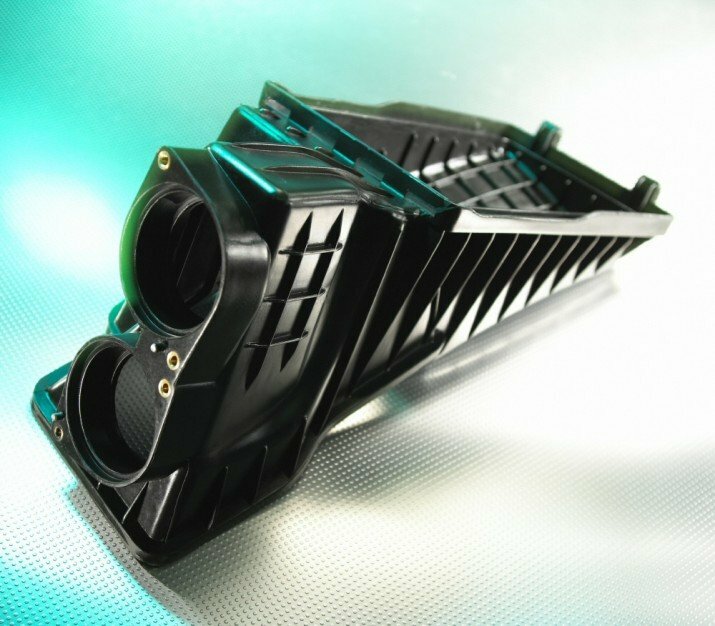 We supplied parts such as these to the automotive industries in particular where components have been used as semi-structural trims, large unsupported panel sections and components subject to temperature rise. 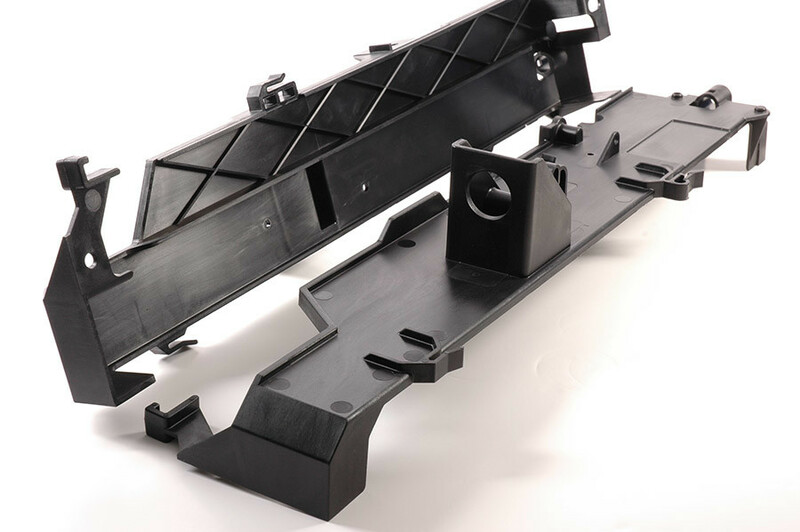 Not all parts are suitable to be moulded in this way as the materials used in the stiffening can impede the flow of resin in the tool and often require to be restricted to a flatter parts of the component. 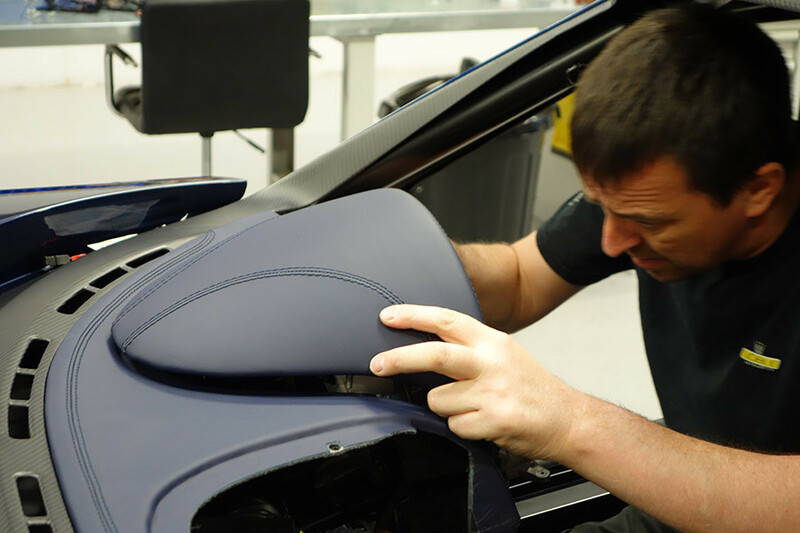 Advice will be given prior to starting any project where strengthening of the part is done this way. RIM PU is the result of a reaction between two liquid components isocyanate and polyol as they are injected into a closed mould at low pressure. The two components are mixed together as they flow into the mould as a low-viscosity liquid and the reaction, which increases the temperature and the pressure at the surface of the tool, forms the polyurethane part in the tool cavity.